Queen Victoria Eugenia of Spain, showing great dignity and deep emotion, crossed the Spanish border into France, reports the New York Times. The Queen and other members of the royal family traveled by car to the small town of El Plantillo, near Escorial, to board the train for France. As she got out of he car, she encountered a "small group of peasants." One elderly woman, recognized the queen, said: "Viva la Republica, Señora." The Queen replied: "Long live whatever ever is best for my people." Her response left the group "respectfully silent." Most of the people on board the train were "royal figures and aristocrats going in exile." There were thirty-nine people in the royal party, including princes, princesses, dukes, counts, generals and members of the clergy." The train was driven by the Duke of Saragossa. 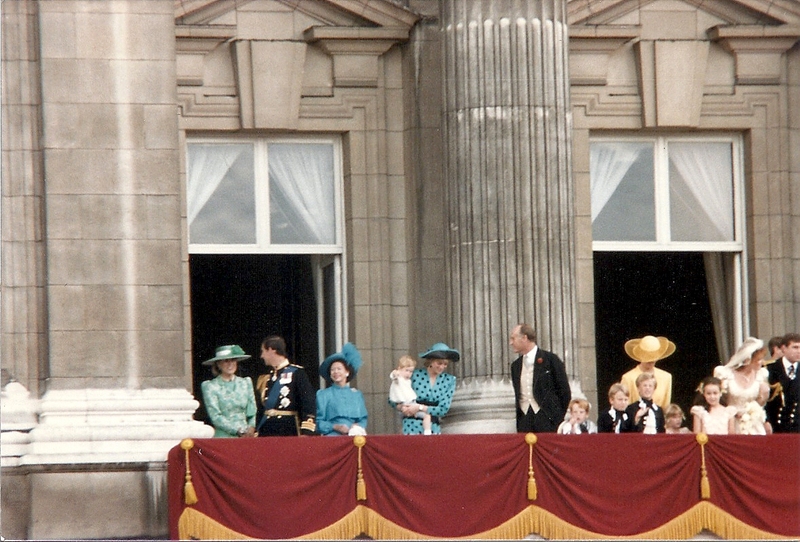 At nearly every stop, the Queen and her party were "greeted with ovations." Although she had "telegraphed ahead" to the French government, asking that she be given "no special courtesies," when she crossed the border, the French government welcomed her with full ceremonies. The queen was dressed in a "dark traveling suit with a lynx fur over her shoulders, pearl earrings and a pearl necklace." Her face showed the "effects of emotional strain," and her eyes "were red from weeping." She spoke about her anxiety for her husband, King Alfonso XIII, although she did not know where he was. She was also concerned for her family's future. "The King has not abdicated. We do not know what is going to happen to us, but I feel sure it will turn out for the best." She was accompanied by her two daughters, Infantas Beatriz and Maria Cristina, and two of her four sons, the Prince of Asturias and Infante Jaime. Her third son, Infante Juan arrived in Gibraltar this morning on a Spanish destroyer, having sailed from Cadiz. He is now at Government House as a guest of Sir Alexander Godley, the British governor. While Infante Juan was on board the ship the royal flag was flown, but as soon as he debarked, the flag was taken down and the Republican flag hoisted up the flag pole. The Queen and her family are expected to arrive tomorrow in Paris and will stay at the Hotel Meurice. King Alfonso is will join them. The King's niece, Infanta Isabel and her husband, Count Zamoyski, were "refused entry" earlier today into Spain when they returning from Cannes. The French government announced tonight that they will take "no official notice" of Queen Victoria Eugenie's presence while she is in France. The government did provide extra police along the railway route from the border to Paris.